Part #: DGA20S23. Pontiac V8. Warranty: YES. Most of our systems include a custom designed X-Pipe at a considerably lower price than others that include no crossover at all or just a basic balance tube with their systems. Yonaka Motorsports. 10.25" total length. 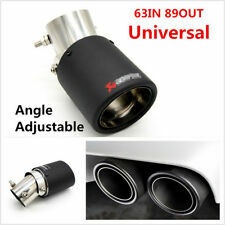 Dual 3.5" Slanted Cut Exhaust Tip. Stainless Steel - Universal Fit. Ontario: 13%. Nunavut: 5%. Nova Scotia: 15%. Northwest Territories: 5%. Part Number: 46477. MFG Model # (Series) : 46477. Exhaust Pipe Inlet Connection Type : Pipe Connection. 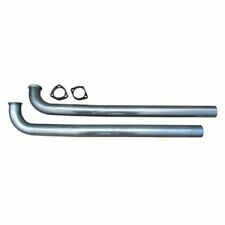 Key Search Words - 2000 : Walker Tail Pipe. 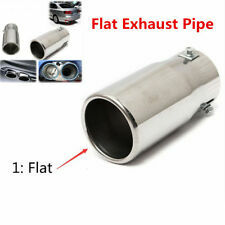 Exhaust Pipe Material : Steel. Exhaust Pipe Outlet Connection Type : Spout.